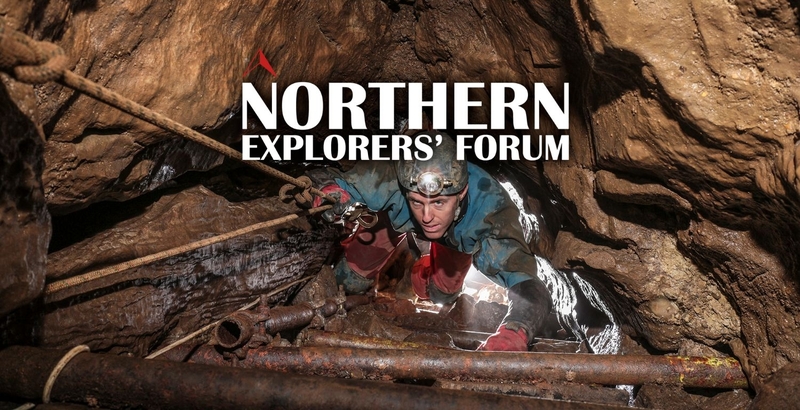 A day of lectures from diggers and explorers in the northern England regions. We would like to make cavers aware of this excellent event being organised in our region for Sunday 7th April 2019 in Claphan Village Hall. A website has just been made available with some details and a list of lectures (which at the time of writing this news article is only a very preliminary list, we recommend you check back closer to the time for more details). We recommend getting your tickets soon as the venue has a limited capacity. The CNCC is proud to be underwriting the venue costs for this event. 5 Likes paul, Badlad, scurve, Swallowneck and Ian Ball like this. Just attempted to pay but after confirming I got an error message saying "Sorry, things don't appear to be working at the moment". So I don't know if I've paid or not! But I certainly want to join in - could someone involved please look at whether this Paypal thing is actually functioning and whether my payment got through? Please assume for the moment it is not. I can't sort this from here I'll have ago this evening. I'll post here when it is sorted. Pitlamp I'll let you know state of your payment too. I've also had trouble with PayPal confirming whether or not I've paid. Could you have a look when its convenient? Struggled with my phone yesterday and gave up, used a PC just now and all went smoothly. .... hmm, Like others I've had no luck trying to pay (using debit card)? I will sign up when they have sorted the website issue. P.s. Fantastic choice of a Sunday, for me it means I can go caving on Saturday as no one ever wants to cave on a Sunday. Hello Sam, like others I've had no success in buying tickets either using my Paypal account or credit card on both tablet & PC. The payment part is entirely handled by PayPal so should work. Please can someone describe the problem? At what point does it fail? Hi Gary, Paying by debit card, it collects all the card details (card no, expiry, CVV etc) then your address and lets you click to proceed. It then either hangs or comes back with a message along the lines of "Your payment cannot be processed at this time, please try later." That's what happened to me yesterday. When I tried again this morning it went straight to a log in screen asking me to log into "my" (?) Paypal account. Worked OK for me from my laptop just a few minutes ago via PayPal. My PayPal account is set up for 'PayPal OneTouch' on this laptop - don't know if that makes any difference? Just received an email receipt for the payment. I have raised the issue andys described above with Paypal. I'll let you when it is resolved. Apologies to anyone who has problems with this. On the plus side it keeps it at the top of the board! 3 Likes Robert Scott, Goydenman and Ian Ball like this. Hello Sam, I used the "Manage" option in Paypal to update my credit card details and was then able to purchase. Just tried again - it lets me enter all the details and then when I confirm it just gives me the same "Sorry we're having trouble at the moment" type message. Then it goes to a Paypal login page (which is only viable if one has a Paypal account). Normally when I pay with Paypal, beneath the big login panel there's a rather inconspicuous button saying "pay with credit card" or something similar, which allows you to pay with your credit card without having or creating a Paypal account. Then when you finish paying there's a screen asking you to create an account, and, again, an inconspicuous button saying "not now". Thanks - I'll have another go (#4) this evening. worked first tine for me. Not certain if it's worked for me or not it shows a cursor for a while and then just asks me to enter my details again.... No error message, but no confirmation message either. But I think it's only those with a paypal account that it works for. Can someone check my name is down? I will Pm my full name. Just tried again and still no luck - same error message as per screenshot above from the previous attempt(s). Sorry - just had attempt No.5, bearing in mind Kay's tips above. Still getting the same error message saying it isn't working and please try again (not that those two statements are exactly compatible . . . . ).